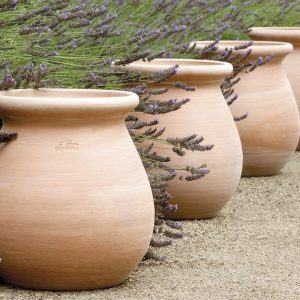 Pots and containers are extremely versatile and can be the perfect solution for adding colour and interest to difficult situations in your garden or to grow plants that won’t normally grow in your soil. 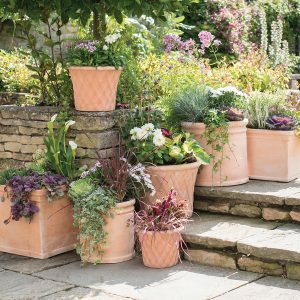 A classic that never go out of fashion, Terracotta Pots will make a stylish addition to any garden. 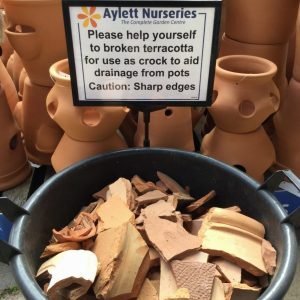 For details of our Terracotta range please see our Woodlodge and Poterie Goicoechea pages. A much-used alternative to quarried natural stone which it stands alongside in appearance and performance but is more readily available and cost effective. A strong, highly versatile material, suitable for period and contemporary styles which can weather like natural stone. For details of our range please see our Haddonstone page. A strong, durable, frost resistant and lightweight alternative to terracotta or stone. For details of our range please see our Woodlodge page. Lightweight, practical and available in many shapes, colours and sizes. For details of our range please see our Elho page. Containers are the perfect home for colourful annuals and half-hardy perennials, both of which are sometimes called ‘patio plants’ or bedding, and many types of shrubs, climbers, herbaceous perennials, grasses and even trees can be grown in containers. Fruit and vegetables can be successful too, as can some roses. As with any type of planting selecting appropriate plants for your pots and containers makes a huge difference to their success – our plant information team are always on hand to help with your plant selection. 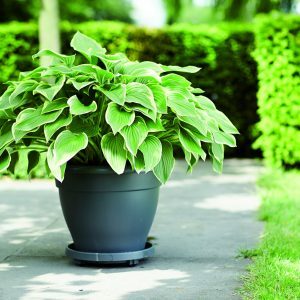 Life in containers can be tough for plants, so choose the right compost, and carry out regular checks for watering requirements to ensure they put on a good show. Plant herbs in a pot by the kitchen door for cooking and fragrance. Use pots in your borders to create different heights for added interest. A single pot or a group or pots can be a perfect way to fill an empty corner. Pull garden furniture and pots together with a colour theme. 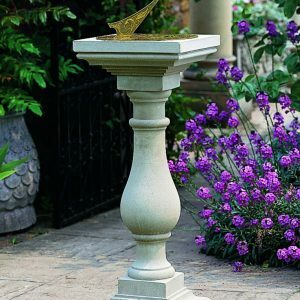 Use a large pot or urn as a focal point instead of fountain. Use a series of identical planters in a uniform line to create different areas in your garden. Use pots or planters either side of a pathway or doorway to make it feel more grand and welcoming. Place planters against an ugly fence or wall to rejuvenate tired looking areas in your garden. No matter how big your outdoor space is, a single pot or small collection well arranged on a terrace, patio, deck or balcony can make an area more interesting and attractive.